Flip a coin. 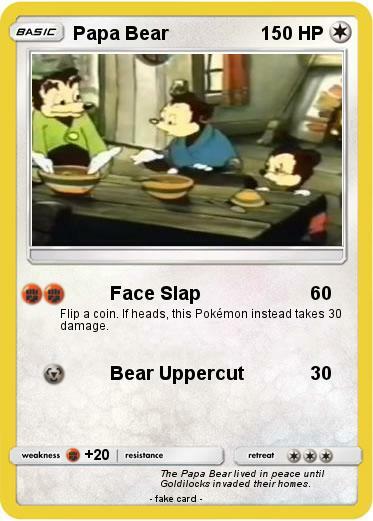 If heads, this Pokémon instead takes 30 damage. Comments : The Papa Bear lived in peace until Goldilocks invaded their homes.